CampMeds provides an innovative program that specializes in organizing the service of pre-packaging medications for campers who attend residential camps throughout the U.S. Our only focus is the camping industry, and over the past 6 years we have become well known for our excellent service and communication with camp parents. As a former camp nurse, I was astounded to discover that over one-third of the campers were on daily medications, many of them on multiple medications throughout the day. In fact, most of my time was spent dispensing and administering medications. CampMeds will provide your campers with the safest, most efficient, convenient packaging system available, significantly reducing the time spent in sorting, preparing, dispensing and administering medications. Pre-packaging your campers’ medicine will minimize potential medication errors, ensuring that every camper gets the correct medication and dosage, at the right time and on the right days. Just as importantly, it will give your nursing staff more time to attend to the medical needs of other campers and staff. Medications that are in pill form (including vitamins), will be individually packaged, sealed, and sorted according to date and time of administration. Each perforated packet may hold all of the medicine a camper requires for that day and time. The packets are clearly labeled with the camper’s name, medication(s), dosage, date and time to be administered. The packaged medications, along with a Medical Administration Record (MAR) printed for each individual camper, will be sent directly to the camp four to five days before their camp session begins. Due to most insurance regulations, medications can only be dispensed 30 days at a time. If a camper requires medication for more than one month, the additional month of packaged meds will be sent to camp in ample time before needed. 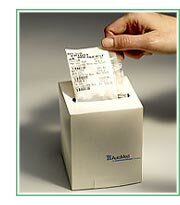 Our affiliated pharmacies are experts in the packaging of medications. They are licensed throughout the U.S and accept most insurance plans. Prescription medications will be billed directly to the insurance company. The camp parent will be responsible for the cost of any medicine not covered by insurance as well as any co-payments and deductibles, which will be billed directly to their credit card. THERE IS NO COST TO THE CAMP.